This was a four-for-one deal and as cute as it gets. I have a lot I want to talk about so I’m going to break this up. First, My Dog Book and My Cat Book. These are interactive scrapbooks for kids to record memories, photos, and drawings of their pet. And they charmed the heck out of me. The layout is crisp and simple, yet so adorable. I would have been all over these when I was 8. Or 12. Or now. I love the clever writing prompts and bullet-journal style. The little doodles inside are so cute. If a child filled out the prompts in this book, it would make such a great keepsake for their life later on. 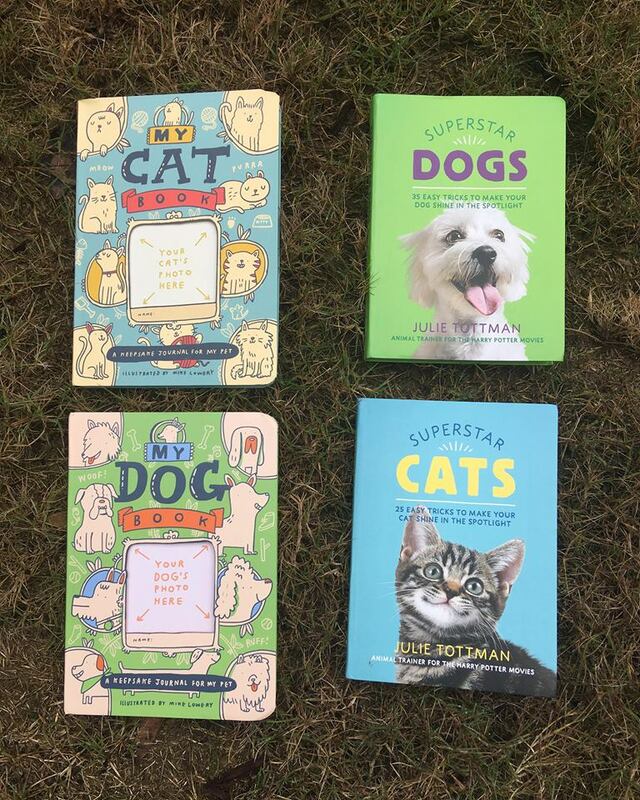 Next, Superstar Dogs and Superstar Cats. I would have been all over these books, too, full of motivation to have the *coolest* dog ever. These are advanced tricks. I’m not sure I could pull half of them off even today because I’ve never been good at that kind of stuff, but it was fun to read about them and I can totally see kids pulling it off. I love dogs so I thoroughly enjoyed imagining them performing all these tricks. However, my absolute favorite was the jump-through-the-hoop trick in the cat book. It literally tempted me to try it out with my neighbor’s cat. A cat jumping through a hoop?! That would be the cutest thing ever. These books are available for purchase now through Amazon and other book retailers. Thanks to @kidlitexchange for providing me with review copies of these books--all opinions are my own.